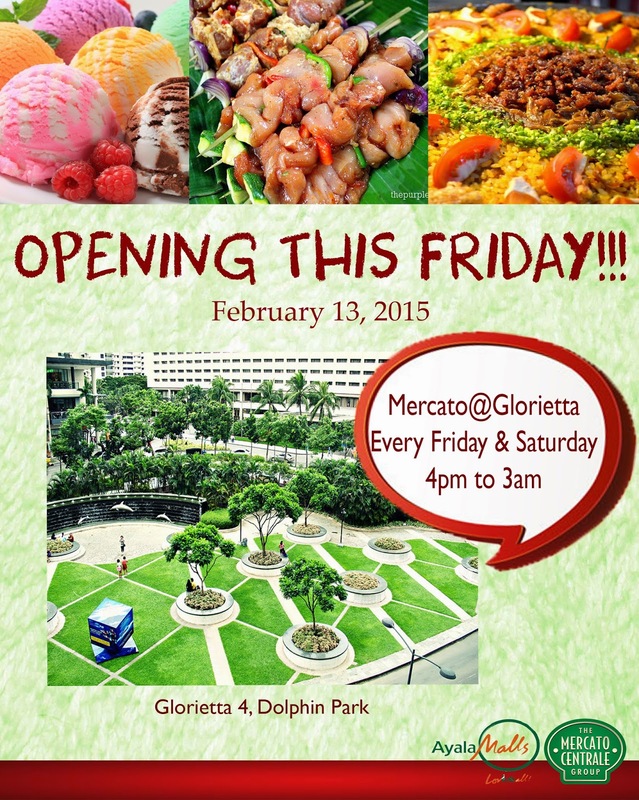 Mercato Centrale brings its foodie experience at Glorietta 4 Dolphin Park Mercato Centrale staring 4PM this Friday. It's another date day to take your special someone somewhere for the evening so plan a surprise and head off to Mercato@Glorietta! Romance is just perfect when it's unexpected! plus other food finds that include homemade hams, kakanins, street food crunchies, nachos, cakes fresh fruit drinks, Ilocos Empanada and many more! Mercato@Glorietta provides a slew of delicious Friday night food to share! Mercato@Glorietta is another innovative food market from the Mercato Centrale group. Mercato Centrale is Organized by Anton Diaz of the popular “Ultimate Taste Test” series, together with RJ Ledesma, who is a celebrity and entrepreneur. Other successful food markets organized by Mercato Centrale includes that of Midnight Mercato in Bonifacio Global City, Taguig, Cucina Andare (the first food truck market in the country) in Glorietta Park, Makati, Mezza Norte in Ayala’s Trinoma Mall, Quezon City, Cocina Centrale in Ayala’s MarQuee Mall, Pampanga and Porto Cena in Ayala’s Harbor Point Mall, Subic.